Library and Knowledge Service annual survey now open! The annual survey for the Library and Knowledge Service is now open – if you want to take part follow this link and complete as much as you can. It should take no more than ten minutes, and would help to provide us with information that we can use to improve library services. Remember, we can only do this through your help: your feedback guides our service! The survey is open until 5pm on the 24th of July. Bereaved people in England rate the care provided by hospitals at the end of their relative’s life lower than that provided by hospices, care homes, and services in the community, show the results of a survey published by the Office for National Statistics. Thank you to everyone who took part in last month’s Library Survey. This has now closed and the results will soon be published as part of our annual LQAF accreditation process. Today is the last date you can take part in our 2014 Library Survey. Please give your opinions and suggestions to inform future library services. 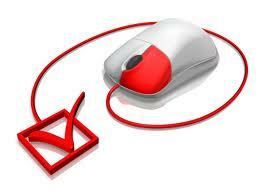 IF you haven’t already completed our quick and easy survey, please can you do so. We only need a few more respondents to achieve the necessary quota and it really doesn’t take up much of your time. The National Skills Academy for Health is focussed on providing practical, high quality training and skills development support for the healthcare support workforce. Following a number of requests from the sector we are looking at developing a resource toolkit to support the embedding of good #dementia care and awareness across the health sector. We would really appreciate your feedback and ideas on what a dementia resource toolkit would look like and whether you think it would be something you would find useful. Please take a few minutes to complete our short survey – your feedback is important to us and much appreciated.